How many arms does an octopus have? Only six - the other two are legs, say scientists: "Ask anyone how many arms an octopus has and the usual answer will be eight. But scientists now insist these nautical animals only have six. In a new study they found that the creatures used six of their tentacles as arms and two as legs. Marine experts at 20 Sea Life centres across Europe gathered data from over 2,000 separate observations. 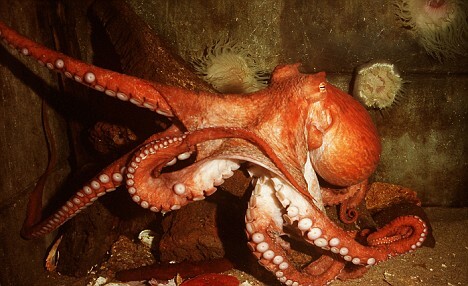 They found common octopuses moved over the ground using their back two limbs, leaving the remaining six for eating."